Originally posted at Necessary Roughness. Please send any comments that way. Most of the theology books I have read of late were fairly academic, requiring careful study to make sure the author's points were received. 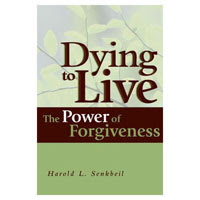 Dying to Live: The Power of Forgiveness, written by Dr. Harold L. Senkbeil, is refreshingly easy to read and a good first book for those who wish to start reading about Christian theology. The Liturgical Shape of the Christian Life. Each of these sections is further subdivided into three chapters. The chapters begin with a one-paragraph modern day story that ends in a Bible verse that answers the situation. The Incarnational Foundation is broken down into "Our Dying World," "Our Living Lord," and "Our Death/His Cross." Senkbeil describes the world as plastic and lonely, leaving us to seek pleasure in sinful ways. The first chapter is ordinary (perhaps because we are ordinary) compared with some of the very cool things in the second chapter when he describes the living God. He calls us to see the "God in Diapers" and recalls Exodus 33:19-23 to show that God is protecting us when he hides from us. In our condition we would be obliterated if we saw God directly. In the last chapter, the author gives a summary of Christ's human life and death, stating that the death of God brings life into our dying world. The Sacramental Focus focuses on baptism, absolution, and the Lord's Supper. Dr. Senkbeil uses Noah's flood to describe the extent that God washes sin away from us. Holy Absolution is the living word of God, and the author notes that "everything God demands of his children he first gives his children." Most approaches to the Christian life are "do-it-yourself," but only God can kill the "old Adam." Holy Communion is then detailed as forgiveness, life, and salvation. He notes that we eat and drink in the presence of God and yet are not destroyed; a benefit of the life Christ has given us. In the Liturgical Shape, the author emphases a God that heals by wounding and makes alive by killing (Deuteronomy 32:39). The hymns, prayers, and readings are the Word of God and drown our sin. God operates on our terminal condition with surgical instruments of Word and Sacrament. The chapter on private prayer suggests starting off prayers in the 2nd person and describing God to give us confidence to ask for things in the first person. The last chapter on vocation is quite valuable. Senkbeil tells us that the motivation for the Christian life is not thankfulness but forgiveness. We live the life that Christ lives in us. "The bodily activity of Christians is the presence of Christ in the world," whether our occupation is preaching or making shoes. This book starts off ordinary but finishes strong. 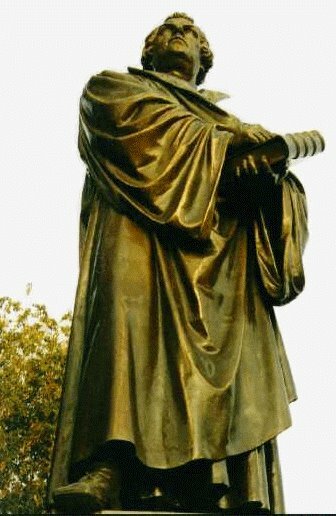 Without counting uses of the Law Dr. Senkbiel shows us the Christian life in a way understandable to the reader in the first pass. Accessible to new Christians, the book is also a good refresher to "mature" Christians. It could also be used in small group study. After the 180 pages, Dr. Senkbeil provides a reading list with plenty of books that I haven't read yet. :) This one is worth putting on your list.